Twenty-seven young writers from across the world have penned these short stories that will make you laugh, cry, and think. A pirate ship that floats in the air instead of the water, a young warrior who chooses a pen as a weapon (or more accurately, the pen chooses the warrior), the choices we make are not always about winning in a chess game or winning at anything else, for that matter. Deep visions in fantasy, science fiction, history, adventure and just life itself are what stories are made of. The art of storytelling is a gift, one that is not nurtured enough in this day and age. The next generation will have a difficult time being creative if they’re not given the tools to nurture the gift and the joy found in the written word. Profound visions and thoughts are not only found in adult writers; they’re found in children as well, sometimes as young as nine and ten. Having taught creative writing to students of all ages, I particularly enjoy working with young children. Their creative energies and freedoms of expression are awe inspiring, inspirational. But, their ability to express their ideas, diverse and intense as they are, is something that needs to be nurtured. With the decline of arts education and the sad demise of teaching the basics of spelling and grammar, students today are at a disadvantage when it comes to constructing a good short story. But all is not lost. 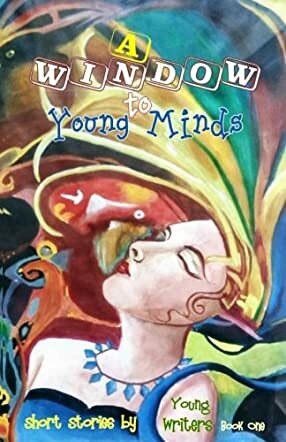 Lune Spark’s collection of short stories, A Window to Young Minds: Short Stories by Young Writers Volume 1, provides an amazing insight into the creative powers of young writers. As Pawan Mishra writes in this book’s introduction, “Our future depends on stories. … The support young writers receive is vital to whether they keep writing, and it fuels the stories yet to come.” We need more people, more organizations that value the creative energies of our young people and are willing to help these young people nurture their gifts so that they can tell many more stories in the years to come. This is a wonderful representation of what young writers can achieve, even at the age of ten. If I hadn’t been told these stories were written by young people, I wouldn’t have known. There is such an intensity and fresh imagination that fuels each of these stories. The young writers should be applauded and I hope they write many more stories in their lives. Phenomenal book and kudos to Pawan Mishra for investing valuable time in helping young writers so that we get to read these gems.